As promised I'll show you some more of the terrific christmas cards I received from dear friends. 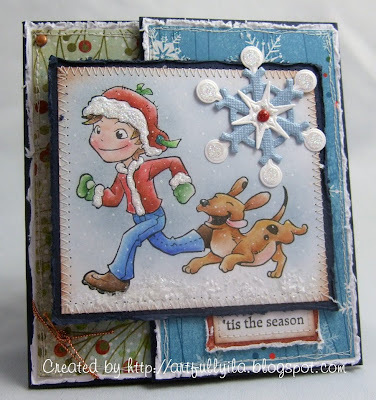 *wow* there are so many talented crafters out there!! Wie versprochen zeige ich euch noch ein paar von den wunderschönen Karte, die ich vor Weihnachten erhalten habe. *wow*, es gibt so viele unglaublich talentierte Bastlerinnen!! 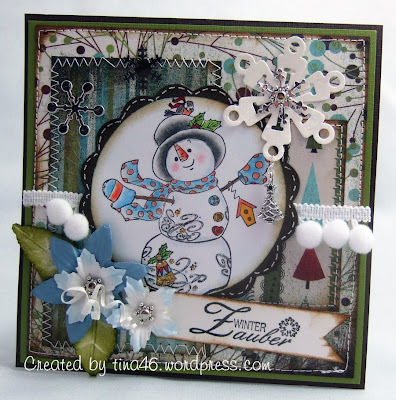 This card came from Tina, all the details and special embellishments are so precious! Diese Karte habe ich von Tina bekommen. All die Details und besonderen Embellishments sind großartig! 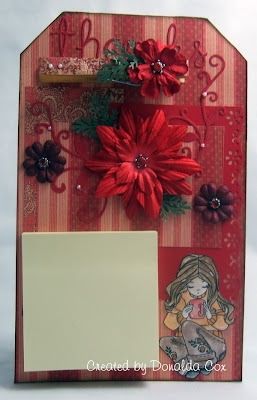 My dear friend Donalda sent me this gourgeous card together with the below Post It Note holder. Isn't it fabulous?? Meine liebe Freundin Donalda schickte mir diese Karte zusammen mit dem folgenden Pot It Note Halter. Ist der nicht sensationell geworden?? 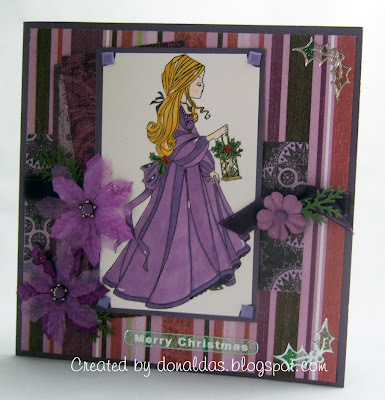 I reveived belows card from Kimmie and once again her layout and colouration impressed me deeply! Die folgende Karte habe ich von Kimmie bekommen, deren layout und Colorationsstil mich wieder einmal tief beindruckt hat. These are all simply gorgeous Katharina! Thanks for sharing! Beautiful cards!! 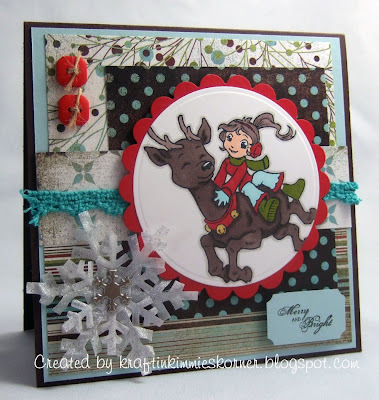 Love them all, but the one with the reindeer is my fav! Wow, these are beautiful card!! WOW Katharina you got some gorgeous cards! Man da mußt Du ja wirklich artig gewesen sein bei soooooooooooo vielen schönen Karte. Ja Du hast recht eine immer schöner als die andere. Und jede hat ihren ganz eigenen Flair. 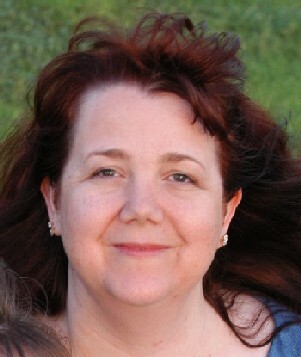 you are so lucky Katharina. Beautiful designs! Thanks for the inspiration!